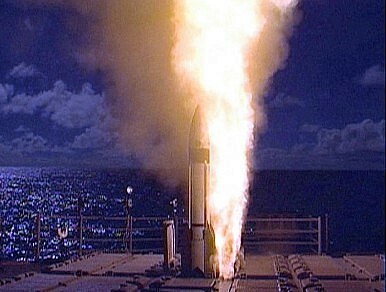 Is U.S. Missile Defense Worth It? The U.S. says it needs ballistic missile defenses to fend off the threat of Iran. But is it creating more problems? Recent news reports from Russia indicate that it’s attempting to enhance the quality of its nuclear weapons. This is happening not only because Russia is again flush with petrodollars, but because it’s trying to counter a perceived threat from the U.S. development and deployment of ballistic missile defense (BMD). The United States and its allies claim such systems are needed to defend against the possibility of future Iranian nuclear weapons. The issue, however, is whether the threat from Iran’s alleged nuclear weapons program is worth making Russia’s known and substantive nuclear capability a more direct threat to the U.S.? Much has been written about the economic cost of the U.S. BMD programs. Tens of billions are believed to have already been spent, while annual spending is anticipated by some estimates to be $10 billion or more over the next decade. And despite its current economic troubles and budgetary constraints, the U.S. seems to be pressing ahead. But arguably more important than the issue of cost is the question of whether the political cost of this effort – directly in terms of U.S.-Russia relations, and indirectly with Moscow’s threat to cut NATO supply routes into Afghanistan – is worth paying. For Russia, the key point is the United States’ Phased Adaptive Approach to missile defense in Europe. This envisages progressive deployment over four phases (spread out up to 2020) of long range tracking radars and ground- and sea-based interceptors in several European countries. The U.S. has justified this as necessary for creating an effective BMD against possible Iranian nuclear attacks. Russia, however, argues that this would degrade its deterrent capability since the Standard Missile 3 Block II interceptors based on Aegis ships would be able to intercept some Russian missiles. As a result of all this, the prospects for U.S.-Russian cooperation on missile defense appear dim. Russia desires a joint system under which each party has a designated zone of responsibility and both participate on equal terms by jointly designing the architecture, its configuration and working principles. It also demands a formal, legally binding agreement with NATO that neither side would target the other’s offensive missiles with missile defense interceptors. This is unacceptable to the United States, which is offering instead a joint data fusion center that would allow both sides to have simultaneous access to missile launch data from sensors in NATO countries and Russia, giving both sides a full, real time picture of potential threats. The U.S. and NATO want to press ahead with their systems and deployment plans with the option to Russia to plug its existing and planned systems into them. But the differences between the U.S. and Russia aren’t just over the mechanics of BMD cooperation, but also over the very purpose of it. While the Iranian threat is deemed immediate and urgent by Washington, it causes no sleepless nights in Moscow. Rather, Russian-Iranian nuclear relations have been active since 1995, with the Bushehr nuclear power plant finally completed and tests started through Russian technology and assistance in 2009. Russia is preoccupied not by Iran, but by the known as well as prospective augmentation of U.S. BMD. Not surprisingly, while ratifying New START, Russia explicitly mentioned the right to withdraw if it deemed it necessary to retain the effectiveness of its strategic forces. 1) BMD is yet to prove its efficacy in a real world scenario. Skeptics abound. Even simple decoys could serve as effective countermeasures. 2) Russian nuclear modernization has accelerated over the last few years, and it today has in its arsenal mobile missiles armed with multiple and maneuverable re-entry warheads to defeat any U.S. BMD. 3) American BMD provides the justification for both Russia and China to continue their nuclear modernization, hurting ties and creating an even bigger trust deficit. U.S. demands for nuclear transparency are unlikely to be met with any positive response in this kind of atmosphere. 4) The alleged nuclear weapon capacity of Iran remains, as it has since the Rumsfeld Commission report of 1998, unclear. There’s no certainty whether these will actually materialize, and there are serious differences of opinion between experts on how close, or far, Tehran may be to a nuclear weapons capability. 5) Even if the Iranian nuclear threat is real, is BMD truly the best solution to the problem? Or in an attempt to check horizontal proliferation, the success of which is in doubt, will it not end up fuelling vertical proliferation in Russia and China, leading to even more vexed international relations? Alienation of Russia over a system of dubious effectiveness – and over a threat that could turn out to be inflated or better met through other measures of engagement and diplomacy – might prove to be a costly mistake. There’s certainly a case for taking pause and making a course correction before things get out of hand. The best bet for the U.S. in dealing with the Iranian imbroglio is to take Russia and China along. If it doesn’t, it might find the shield built to protect from Iranian missiles woefully inadequate against the new threats it might create for itself in the process. Russia looks set to try to create a coalition against U.S. plans for ballistic missile defense. Will it court China?